The U.S. Customs and Border Protection agency has seized tens of thousands of hoverboards in the last month in a crack down on a former hot holiday gift that’s been held responsible for several home fires. 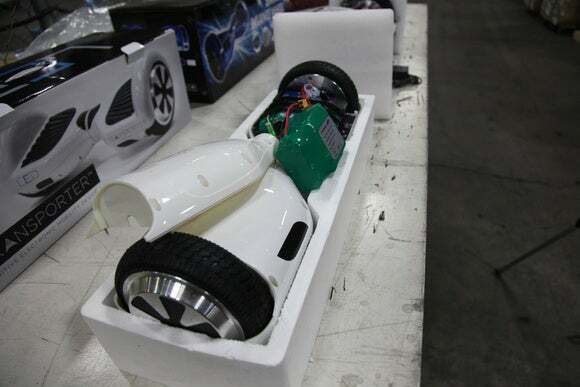 The seizures have happened at border crossings and customs warehouses across the U.S. and mirror a high-profile raid on the booth of a Chinese hoverboard manufacturer at January’s CES in Las Vegas. The devices, which don’t hover but transport a rider balanced on two wheels, are generally being held on charges of trademark infringement. 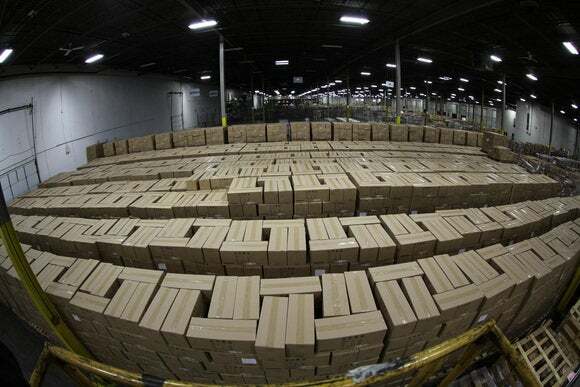 One of the biggest seizures so far happened in January in the Chicago area, when CBP agents intercepted over 16,000 of the devices worth millions of dollars. A counterfeit hoverboard is on display for a press conference held in Chicago on Jan. 27, 2016, announcing the seizure of more than 16,000 hoverboards. The hoverboards were seized because they contained batteries that were “unauthorized and therefore counterfeit,” the agency said. A photograph distributed by the CBP shows a green battery pack with a Samsung logo. The battery was not made by Samsung. A hoverboard is taken apart on Jan. 27, 2016, to show reporters what makes them counterfeit. 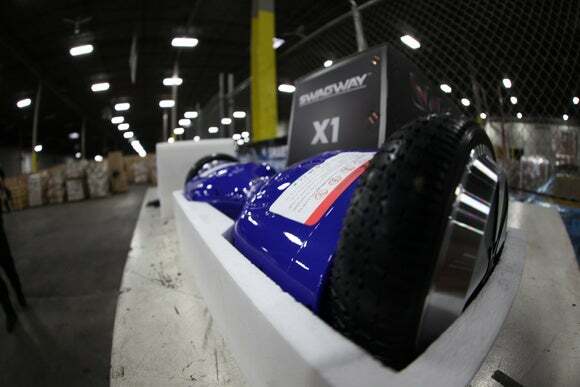 Fake “Samsung” batteries were also what enabled CBP agents to seize hundreds of hoverboards at the Port of Norwalk, Virginia, in late December. 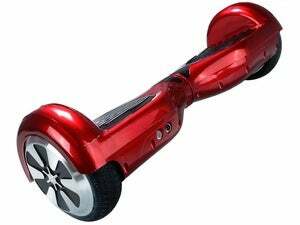 Trademark infringement was also cited in the seizure of 1,650 hoverboards in Minnesota in January. Concerns about defective batteries that burst into flames when overcharged led airlines to ban the devices in December. Amazon, which was a major sales channel for the products, reportedly stopped selling several brands of hoverboard and Overstock pulled them from its website. 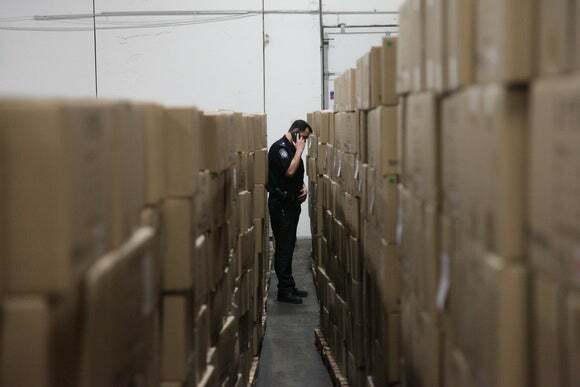 A CBP Officer assigned to the Chicago Field Office stands in between aisles of counterfeit hoverboards seized in Chicago.